It appears that if you bought an iPhone 6s or iPhone 6s Plus from Apple and paid it in full, your device is actually unlocked right off the box, and only a quick action is required from you to confirm that unlock status. Unfortunately, that doesn’t appear to be the case for iPhones purchased directly from carriers. Prior to the pre-orders going live, I had actually confirmed this information with a couple Apple employees, but there were many still many doubts as to whether this was reliable information or not. It seems this is now confirmed. Our friends at The App Factor shared a little more details about the actual process. Even though the phones are unlocked right off the bat, you still need to plug your iPhone in iTunes to go through the carrier set up. I personally confirmed it to work with my AT&T iPhone 6s. Step 1: After unboxing your iPhone, plug it in iTunes. Step 2: Go through the carrier setup, which asks you to confirm your phone number, zip code, and the last four digits of your social security number. Step 3: After agreeing to various terms you probably won’t even read, you should get a confirmation message your iPhone has been unlocked, as seen above. 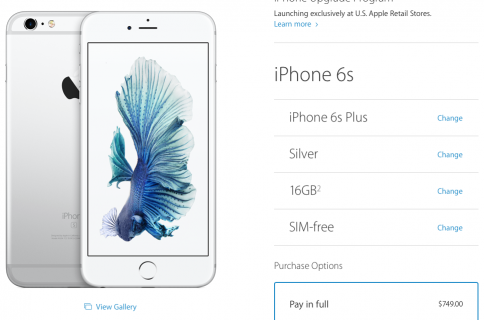 In previous years, buying an iPhone at full price from Apple was not an option at launch. Apple did offer off-contract iPhones, but usually a month or two after launch day. 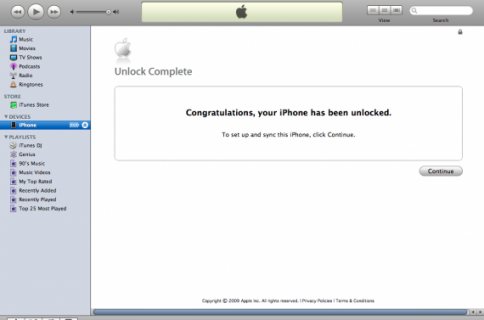 If you bought your iPhone in full directly from a carrier, note that you are still entitled to a free unlock right now. Simply call your carrier and tell them to unlock your device. Because it is paid in full and not tied to a contract, they should oblige. If you paid your iPhone in full, please let us know what your experience is on other carriers.